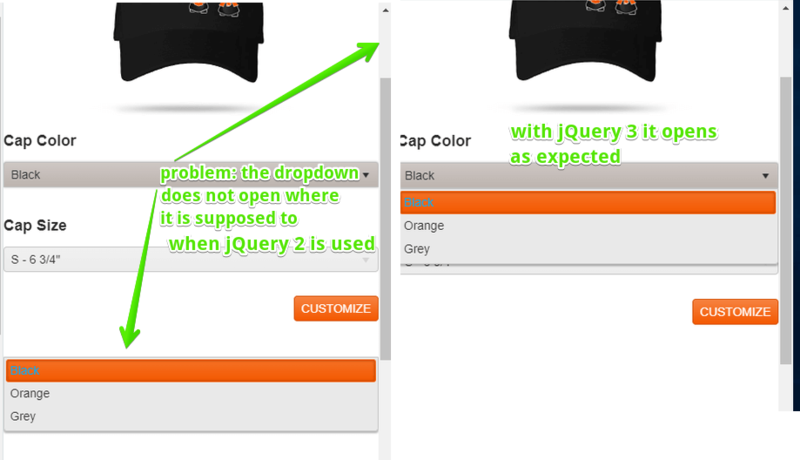 When the page is scrolled down, the dropdown position is incorrect - it does not consider the page scroll position and is offset (detached) from its element by roughly the scroll distance. This issue affects various widgets that have dropdowns - combo box, date picker, dropdownlist, multiselect, etc. The solution is to upgrade to jQuery 3.3.1 where the bug is fixed.